Congratulations! It's a boy! Time to research. Percentage of intact men. Immediate and long term complications. Basic intact care. Functions of the foreskin. Hey, Mom! 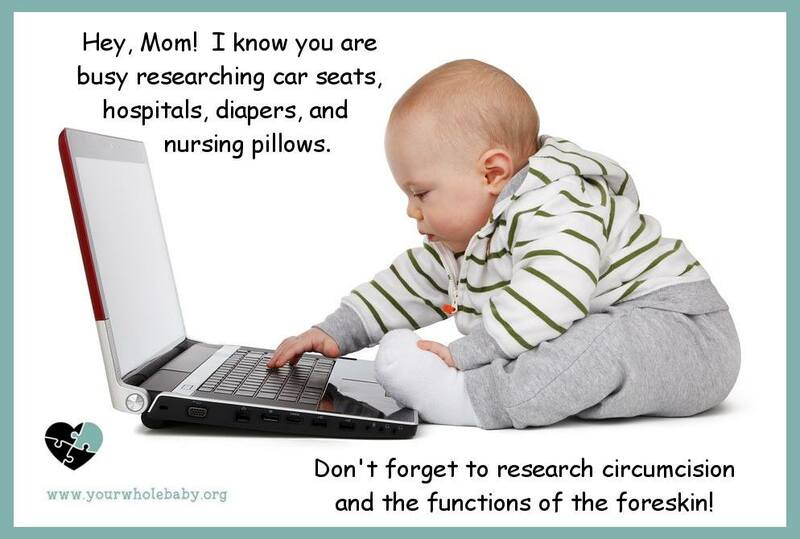 I know you are busy researching car seats, hospitals, diapers, and nursing pillows. Don't forget to research circumcision and the functions of the foreskin. #mendocomplain #iamnothankful What is the #1 thing that people want to learn about the foreskin? Google How to get it back. Speaking out against routine infant circumcision is not about judging other parents and the choices they made in the past. 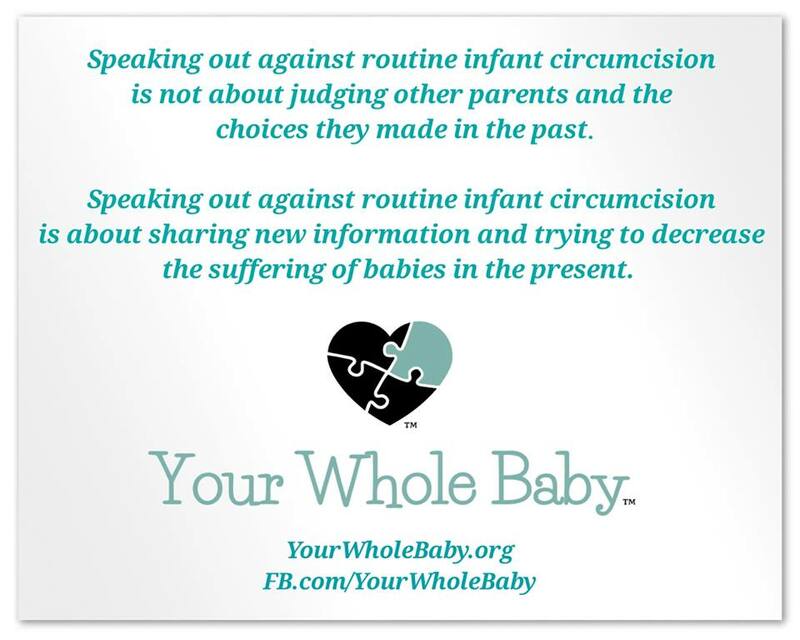 Speaking out against routine infant circumcision is about sharing new information and trying to decrease the suffering of babies in the present. Choosing the perfect stroller is a big decision. But if you don't like it, you can just take it back. 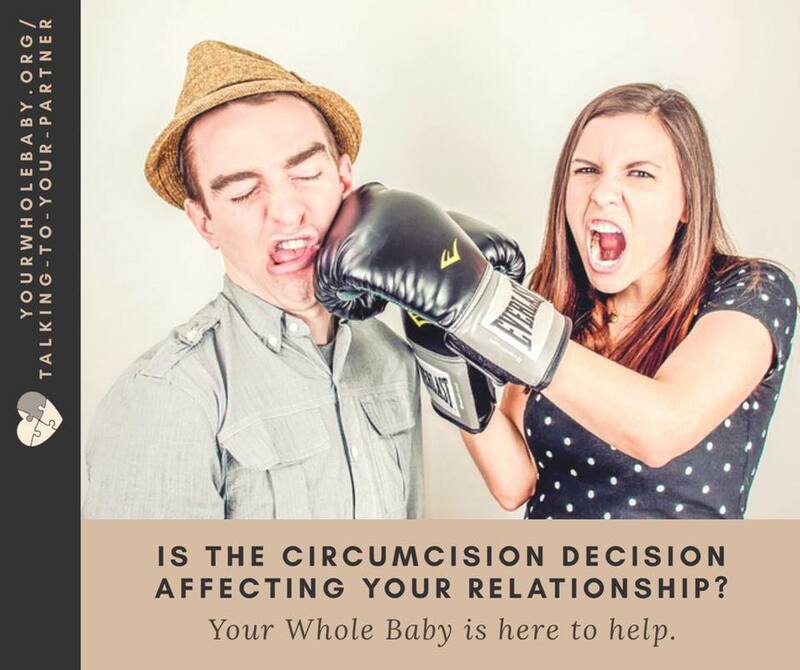 Choosing to circumcise your son is a much bigger decision. It will wound him, and you can never take it back. Q: What's the worst thing that could happen if I circumcise my son? A: He could die. It's not worth it. 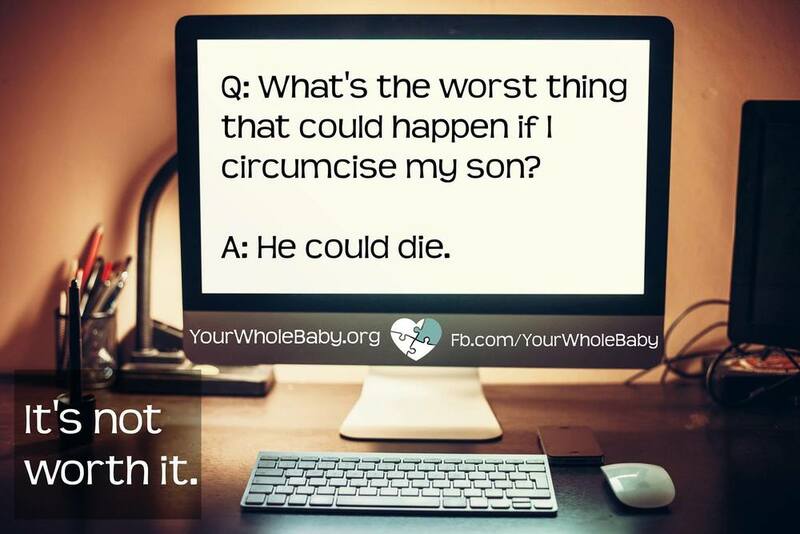 Q: What's the worst thing that could happen if I don't circumcise my son? A: He will have a 0.006% chance of needing a circumcision later in life. That's 1 in 16,667. Proper care = no problem Research Circumcision What are the functions of the foreskin? What is a circumstraint? What are the Gomco clamp, Plastibell, and Mogen clamp? Any immediate and long term complications? Do major world health organizations recommend it? Can newborns be given proper pain relief? Does paon alter a newborn's brain? What percentage of men are intact? You research what goes into his body. Shouldn't you research what will be done to his body? Learn the Functions of the Foreskin. Don't stress any longer. Your instincts are right. You don't have to let them hurt your son. Luckily, you received the information in time: circumcising your son is an unnecessary, harmful violation of his human rights. It doesn't matter that the appointment has been made. You can easily cancel. What is more important? Keeping your obligation or protecting your son? I almost fell over when mom told me what the doctor wanted to cut off! Find out why boys like me are thanking our parents for letting us keep our whole bodies! If even the tiniest part of you is having doubts, do not let anyone take your son to be circumcised. Stop. Think. Research. Do not be rushed into a decision by family or staff. It can always be done later. It can never be undone. 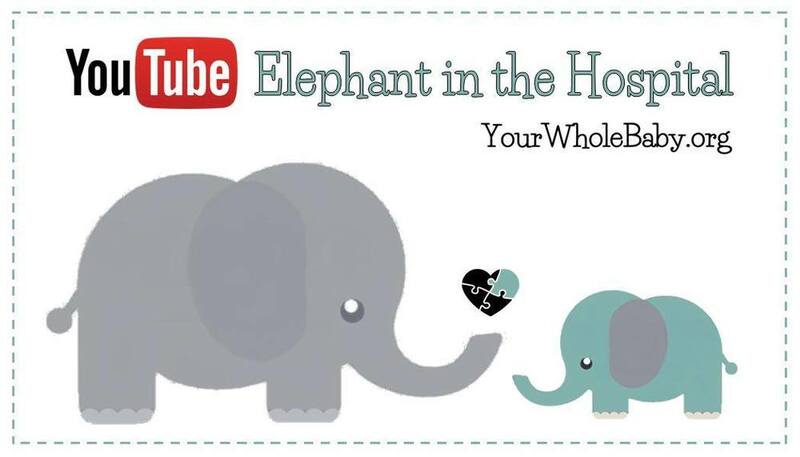 YouTube Elephant in the Hospital When you say I did all my research and we are still circumcising, what you are really saying is I know that no medical association recommends it, I know that no one has ever proven significant benefits to it, I know that the foreskin has many functions that will be lost as a result, I know that the traumatic pain he will endure can alter his brain, I know that it does not prevent any infections or cancers, I know that he wouldn't be any harder to clean if I didn't do it, I know that it can decrease sexual pleasure for him and future parnter(s), I know that he can easily do it later if he wants to, I know that he would more than likely never want to, I know that he could suffer serious complications, I know that one of those complications is death, I know that all I have to do to prevent these risks is say no and we are still circumcising. Rethink your reasoning. Don't forget to weigh the pros and cons of circumcision before I'm born. 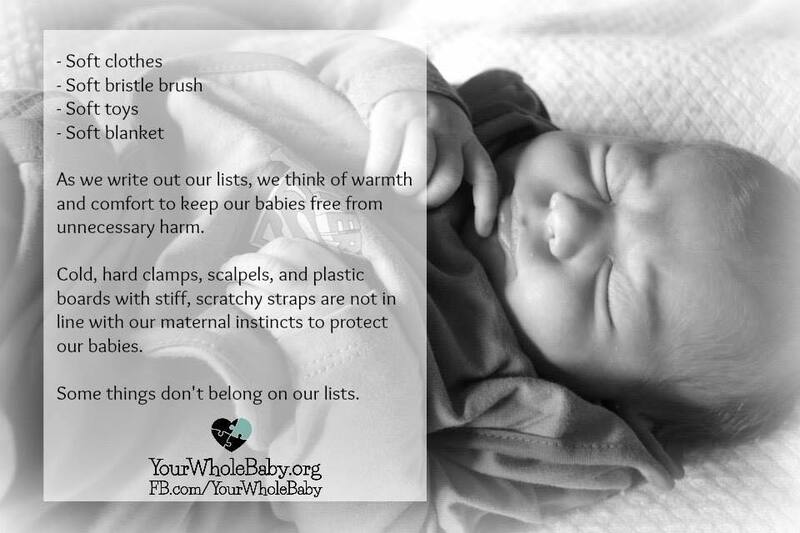 Hint: 100% of babies say no to routine infant circumcision. By choosing to have your son circumcised without truly researching what he will endure is basically saying I don't care if it's right or wrong. I don't care what he's going to experience. I want to have it done. That mentality is selfish, ignorant and dangerous. Boys are born perfect too. One word will protect him. Tell the doctors no. Because every turtle deserves to keep his shell. Research the many functions of the foreskin and say no to circumcision. Break the cycle. Circumcision is the perfect crime. Its victims become its perpetrators. 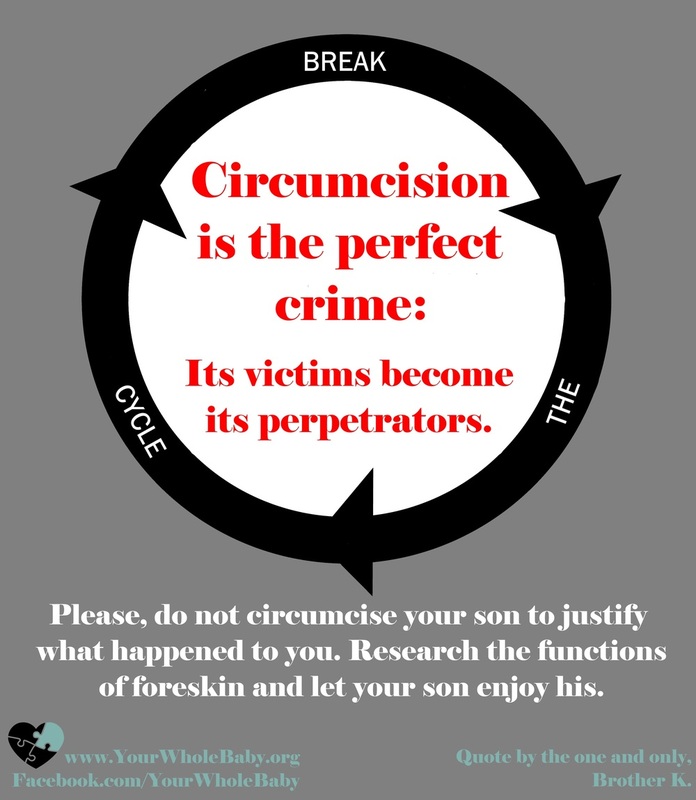 Please, do not circumcise your son to justify what happened to you. Research the functions of foreskin and let your son enjoy his. Could this be the meme that changes your life? Find out what American doctors don't want you to know. I'll just have to save him, because after all, A person's a person no matter how small. Dr. Seuss Circumcision rates are falling. Find out why. Whole Network Researching new information leads to rethinking old ideas. 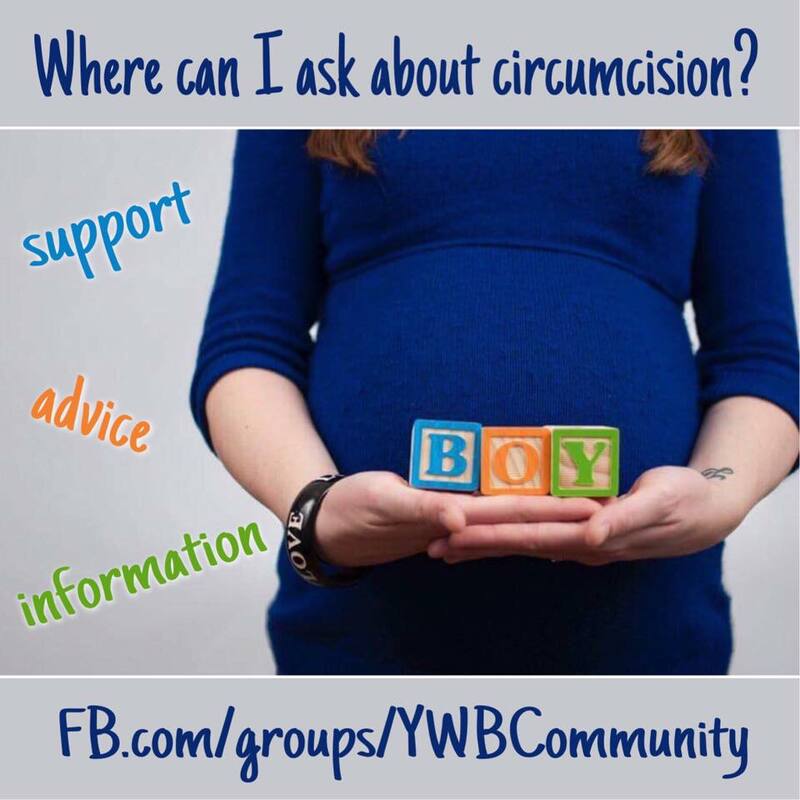 get current accurate research on circumcision Confirmation bias is the tendency for people to pay attention to or retain information that supports (confirms) their existing beliefs (and ignore information that contradicts). Jenny Stuber, Ph.D. Exploring Inequality A sociolgical approach A majority of the world's men are intact with no health issues. Open your mind to the information that will save your son. Research checklist We are unsure about circumcision. Where can we learn more? 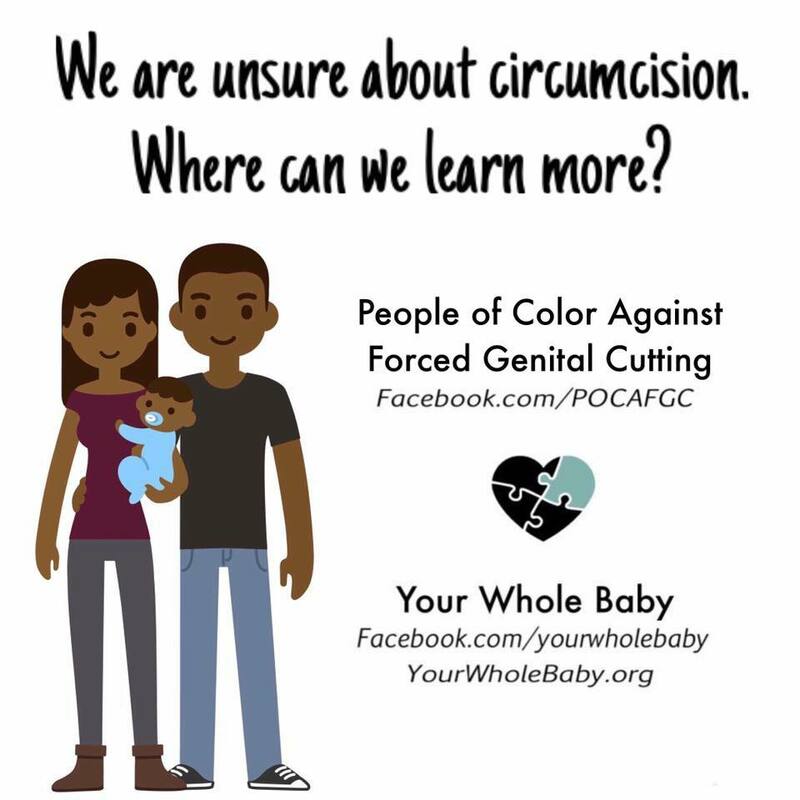 People of Color against forced genital cutting What's the big deal about circumcision? All I did was post on Facebook that I was getting my son circumcised. Now my inbox is full of messages from total strangers. Why do they care so much? Find out why people feel so strongly about circumcision and the right to genital integrity. Gender Equality begins at birth. 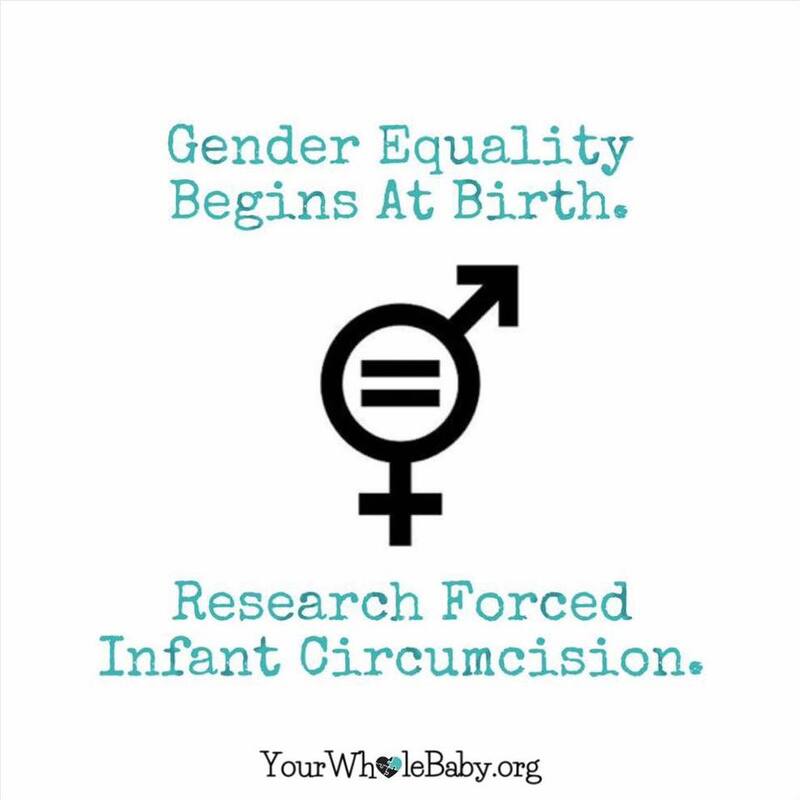 Research forced infant circumcision. Yes, I am biased. That's not a negative title. 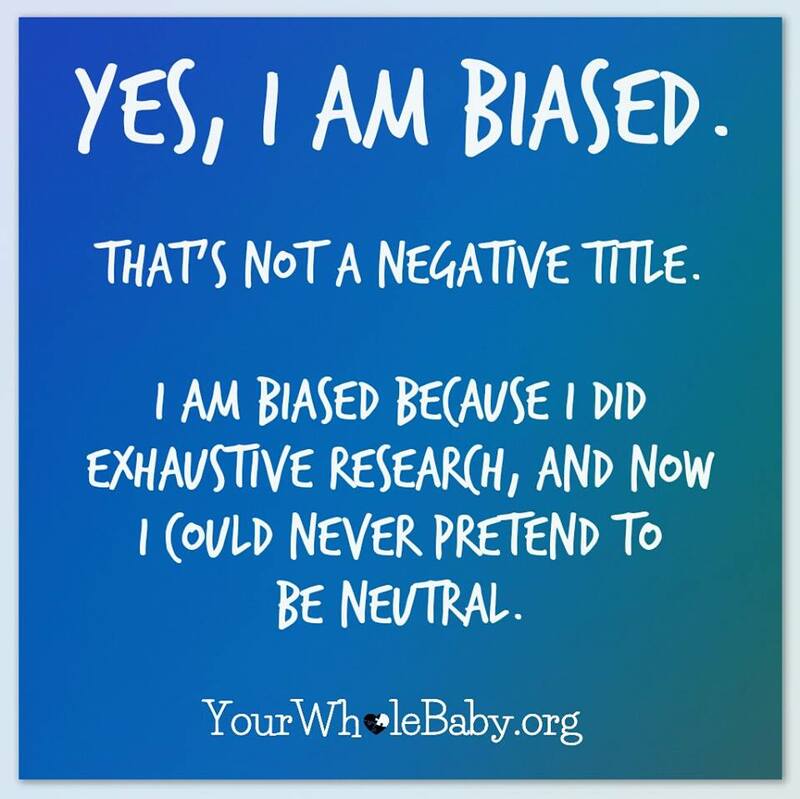 I am biased because I did exhaustive research, and now I could never pretend to be neutral. You can't just bury your head in the sand when it comes to facing the truth about a harmful and unnecessary procedure. Research circumcision. 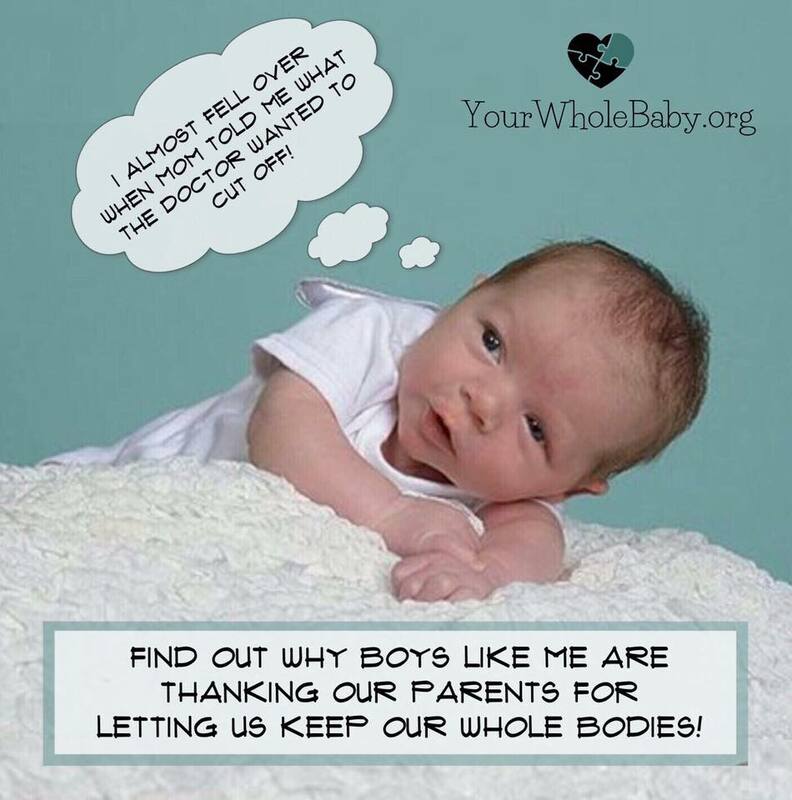 I don't need research to prove that my son has a right to keep his whole healthy body. 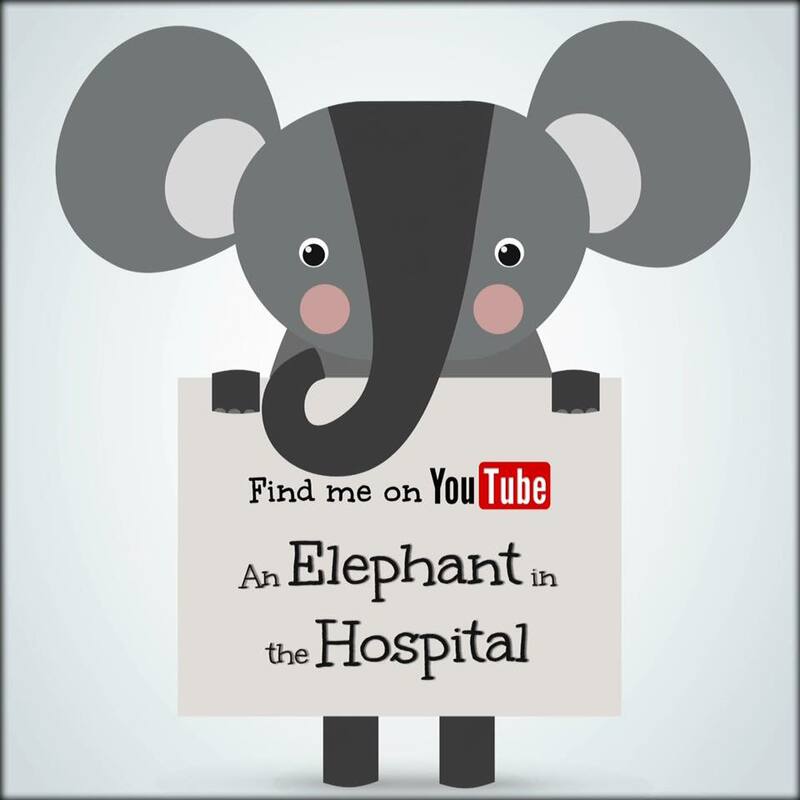 Find me on YouTube An Elephant in the Hospital Can't decide whether to circumcise your son? Don't! Risky damaging save the irreversible decisions for him! unnecessary painful The start of a new school year is the perfect time to educate yourself on the functions of the foreskin.